I know that many producers like to compare the average grain yield of their operation to the county average. The United States Department of Agriculture National Agriculture Statistics Service (USDA/NASS) released estimates of 2012 county corn and soybean yield averages on February 21, 2013. 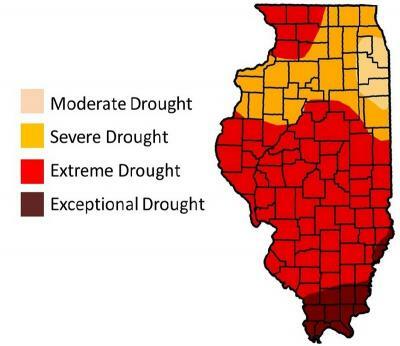 I have listed the 2011 and 2012 estimates for 16 counties in West-central Illinois and have subtracted the 2011 average from 2012 to show how 2012 and 2011 yield averages compared. For corn (Table 1), only Mercer and Henderson Counties had higher average yields in 2012 than in 2011. For the other 14 counties, 2012 yields were less than 1 bushel to more than 60 bushels lower than, or 99.6 to 55.9 percent of, 2011 yields. 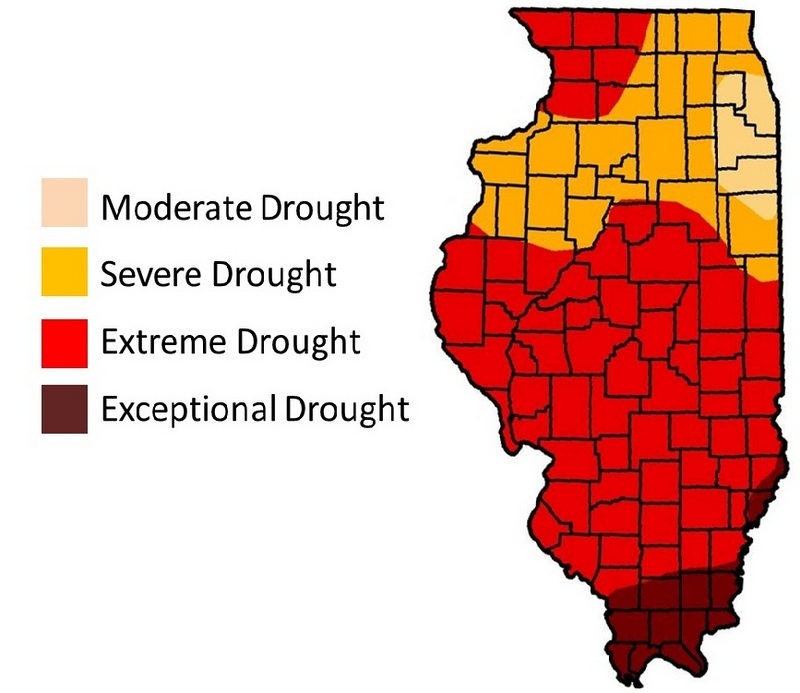 Those counties that had dramatically lower yield averages in 2012 than in 2011, tended to be farther South and have more severe drought than others (Figure). For soybean (Table 2), Mercer, Hancock and Henderson Counties had higher yields in 2012 than in 2011. For the other 13 counties, 2012 yields were 0.1 to 9.7 bushels lower than, or 99.8 to 84.7 percent of, 2011 yields. Table 1. County average corn yield estimates for 2011 and 2012 (USDA/USDA). a In 2012, average yield estimates from Putnam and Rock Island Counties were combined. Table 2. County average soybean yield estimates for 2011 and 2012 (USDA/USDA).